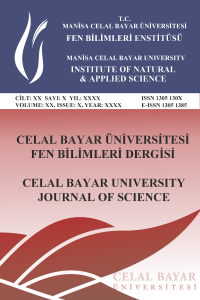 In this presented work, antioxidant potential of endemic Lavandula stoechas cariensis was investigated. Lavandula stoechas cariensis plants were locally called as “Karabaş otu” and consumed for its beneficial effects. Fifteen different locations for plant sampling were identified at around Koçarlı (Aydın) region, and plant samples and soil samples were collected in between April and May. Four main antioxidant parameters were used for the evaluation of the antioxidant parameters: proline content; total phenolic compounds; DPPH free radical scavenger activity; and reducing power. Before the antioxidant experiments, water and methanol extracts of the Lavandula stoechas cariensis plants were obtained. Essential oil content; and micro and macro nutrient of the Lavandula stoechas cariensis samples were also investigated. Soil properties and nutrient content of the soil samples were also evaluated. Bouyoucus, G. J. A calibration of the hydrometer method for making mechanical analysis of the soil. Agronomy Journal. 1951; 4, 9-434.